If there is one brand that continues to wow us with its innovative and timeless, yet somehow youthful, aesthetic, it's Gucci. Since there is really nothing not to love about what Alessandro Michele is doing with the brand, we are going to divert the attention away from the graphic sweaters, the ruffled dresses, and the quirky eyeglasses for just a moment to reflect solely on the beauty and tradition that is the Gucci handbag. 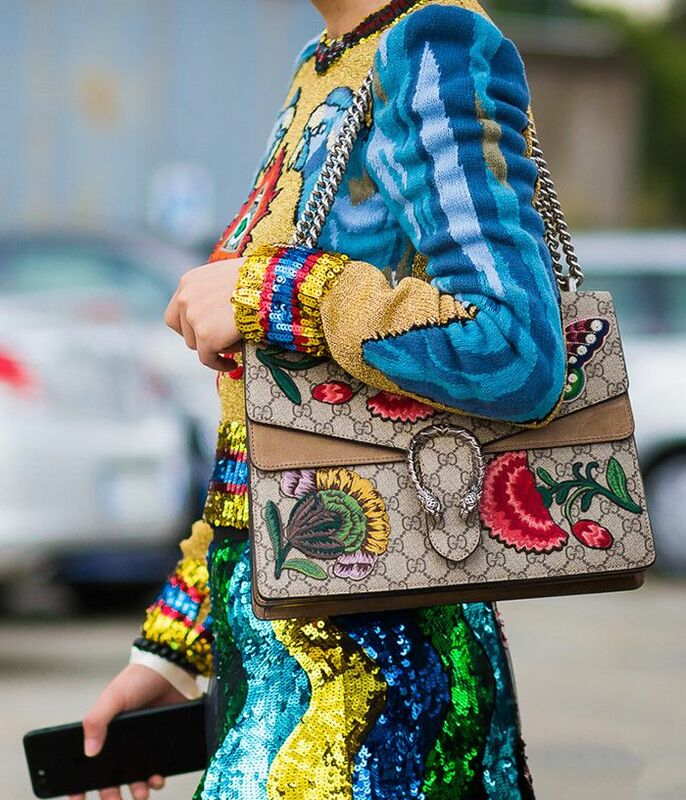 This fashion month, more than ever before, we saw parades of Gucci bags in all shapes and sizes dominate the streets of New York, London, Paris and Milan. The most popular bag style was by far any carryall adorned with some sort of appliqué, whether that be rhinestone lips or a metallic lightening bolt. Close contenders included the extremely new graffiti tote bag along with any version of the brand's staple styles. While sporting their Gucci bags, some fashion icons chose to keep their looks on the simple side, letting the bags speak for themselves, whereas others tried to one-up the bejewelled confections with clothing items equally as loud. Whichever way these influencers chose to wear them, the images ahead confirm once and for all our obsession with Gucci. Keep reading to see the most amazing Gucci handbag images and to shop a few for yourself. The definition of street style stardom. Wearable art at its finest. Patriotism just reached a whole new level. This mini bag was designed for a princess. Let this gorgeous bag slither its way into your life. Brown is the fall color every fashion girl is wearing. This bag has so much going on, we don't know where to look first. The perfect bag to wear with navy and black. 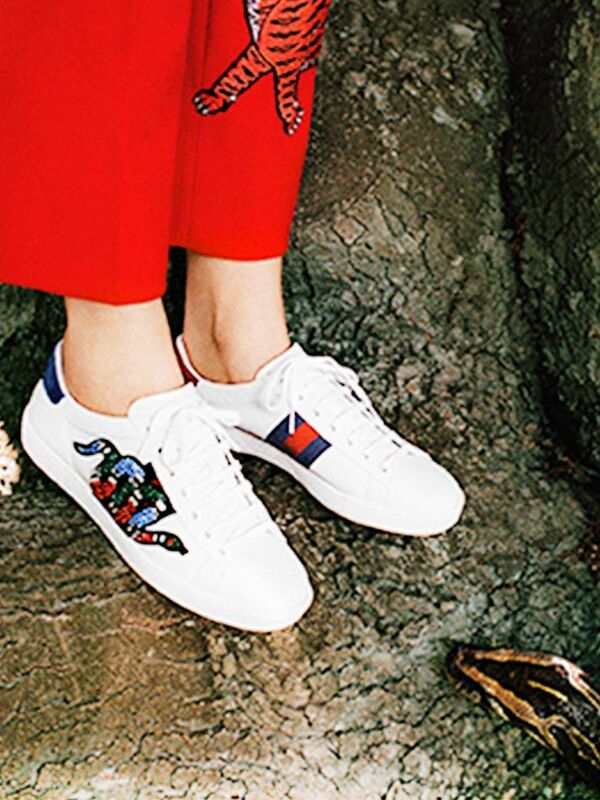 An updated take on a Gucci classic. You will wear this bag with everything you own, guaranteed. No tote bag will ever compare to this. Let this bag be the standout piece in any outfit. When we talk about timeless bags, we mean exactly this. Shop some more of our favourite It bags of 2016 right now.